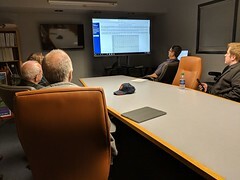 The third meeting of the 2018-2019 year took place at the National Weather Service office in Flowood. 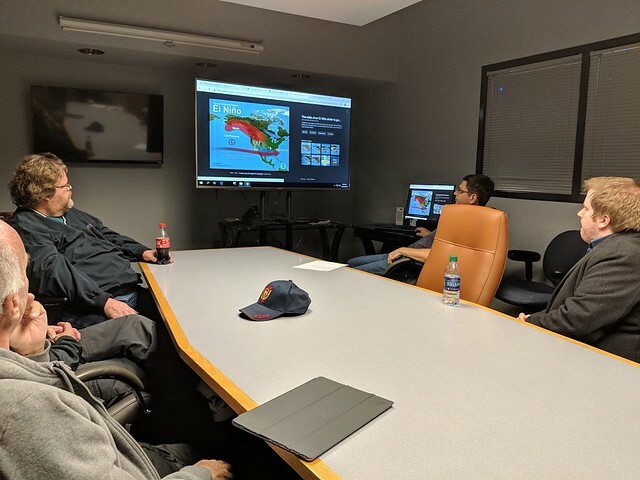 The third meeting of the 2018-2019 AMS/NWA chapter occurred on November 27, 2018 at the National Weather Service office in Flowood, MS. The meeting was called to order at 7:06pm by President Eric Carpenter. Recording Secretary Joanne Culin took note of the number present. There were 8 attendees present. Recording Secretary Joanne Culin summarized the meeting from the previous meeting of the year in September. The amount in the treasury was $360.29 as of the start of the meeting. The chapter began collecting socks for Grace Place in Jackson. This is the fifth year that this service project has been sponsored by the chapter. Eric reviewed potential meeting ideas. These included Allan Seals, Bill Frederick from the Army Corps of Engineers in Vicksburg, an update on Vortex Southeast. Daniel mentioned going to Butts Park in Jackson to see the Mississippi river model. This would need to be a day meeting. Eric Carpenter spoke during this meeting about winter weather forecasting with the focus on the difference between El Nino and La Nina and impacts on this region. Eric mentioned that we are heading into a weak El Nino. He explained that La Nina favors more ice storms in our region due to the greater potential for shallow arctic air intrusions while cold upper level systems and snowfall can be more common in El Nino due to a more southward displaced jet stream. He played a few Youtube videos describing El Nino and La Nina for the group. Eric then explained that we look at analogs to previous ENSO years and follow ENSO trends to gather what a specific year might be in terms of winter weather forecasting. He also showed last year’s winter outlook that was issued by the NWS Jackson office, and explained how well it performed based on a pattern match to the 1984-85 winter season. 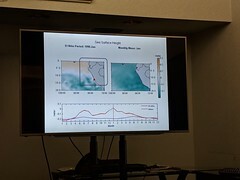 He also showed some teleconnection patterns on the tropical tidbits webpage and explained how blocking in the arctic region helps lead to cold air outbreaks in our region.